Drivers in the market for their next vehicle know firsthand just how difficult it can be to find the perfect fit. Those looking to save on costs may be interested in purchasing used versus new, and if so you’ve come to the right place. Our team here at Certified Autoplex specializes in used vehicles, so needless to say our lot is full of them. Although we have quite a few luxury brands to choose from, we also host a lot of the mainstream brands as well. This time we’re going to shine a light on the GMC lineup to give drivers a better idea of what these vehicles have to offer. 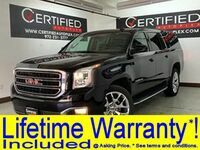 If you’re someone who’s looking to get rough and wild behind the wheel, then a GMC could be the perfect fit for you. These vehicles are known for their tough design and adventurous performance capabilities. The majority of the GMC lineup is focused on crossovers, SUVs and trucks. Let’s dig deeper to see what these vehicles have to offer. 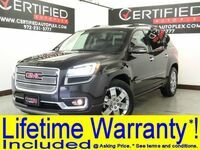 There are plenty of reasons why a GMC is an excellent choice, but we personally think it’s even more of a deal when it’s used. A vehicle’s value decreases significantly within the first year, so it only makes sense to purchase a used vehicle that’s a year or two old versus buying a brand new one. Since you’re here with us, we’re going to assume you’re on the same page. 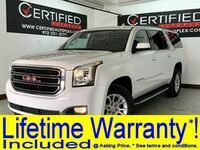 Right now we have five GMC models available for drivers in Carrollton to choose from, but it’s important to note our inventory is always changing. The GMC lineup features three main SUVs to choose from ranging from compact to full-size models. The smallest SUV on the lineup is the GMC Terrain, which offers seating for up to five passengers. There is also a GMC Terrain Denali model to choose from which is slightly more expensive. 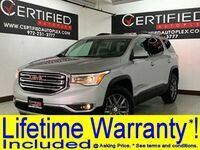 Next in line is the GMC Acadia, which offers seating for up to seven passengers. 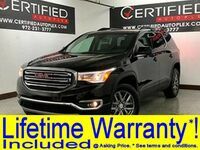 This one follows the same pattern with a Acadia Denali to choose from as well. The largest SUV on the GMC lineup is the Yukon, which offers four different models to choose from. The GMC Yukon and Yukon XL offer an impressive amount of interior space with seating for up to nine passengers, whereas the Yukon Denali and Yukon XL Denali have seating for eight. Although we don’t currently have any GMC truck models available here at Certified Autoplex, we may carry some in the future. Those looking for a smaller, more compact and efficient truck may opt from the GMC Canyon. It can tow up to 7,000 pounds when properly equipped while still averaging 20 mpg in the city and 27 on the highway. The Canyon definitely offers the best of both worlds. Drivers in need of something larger may be interested in the Sierra series including the 1500, 2500 and 3500. 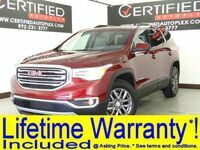 Those interested in learning more about the GMC lineup are welcome to contact our team here at Certified Autoplex for more information. Drivers looking to get behind the wheel can schedule a test drive online or stop by today! 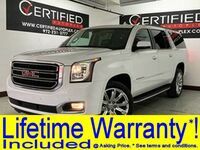 Interested in a Used GMC Models?